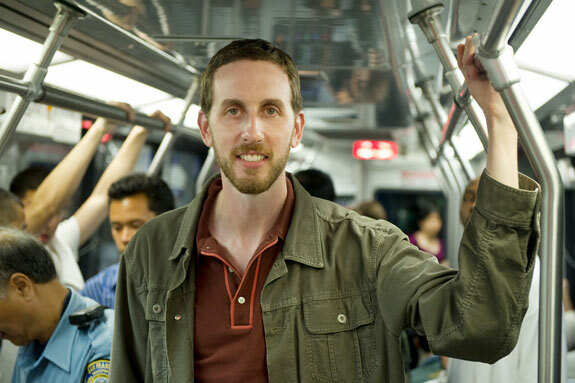 Since Scott Wiener took office as District 8 supervisor, he’s stood out as a progressive transportation advocate at City Hall, holding the SFMTA accountable for improving service for Muni riders, making the streets safer for pedestrians, and more. So it was disappointing to hear him say he’s against the SFMTA’s long-overdue proposal to enforce parking meters on Sunday. That’s for sure. Every Sunday and every evening after 6 p.m., when metered spots fill up with motorists taking advantage of free parking, scores of drivers opt to cruise or park illegally. That means more drivers distractedly searching for spots, more double-parked cars delaying Muni and endangering bicycle riders, more unnecessary air pollution and wear-and-tear on the city’s already-broken pavement, and businesses hurt by a lack of parking turnover. If Wiener wants to see the “theory” in practice, he can visit Los Angeles, Old Pasadena, Miami Beach, or Portland, where meters are already in effect on Sundays. Wiener said he’s “met very few people who support” updating meter hours from their current schedule — which was set in 1947 when businesses were closed on Sundays and demand wasn’t as high — though he noted “there are some” who do. Whether opponents of Sunday metering are actually representative of Wiener’s constituents is unclear. Although he said he’s heard complaints from small business owners, testimony at hearings on the budget and reports in the media appear to be almost completely comprised of persistent church leaders who regularly use inflammatory rhetoric, characterizing the long-overdue update of city parking policy as an attack on African Americans, women, and even religion itself. Wiener’s citation of “patterns [that] have developed” around free parking sounds like a vague nod to churchgoers who have grown accustomed to their longstanding exemption from parking enforcement. What’s clear is that modernizing Sunday parking prices would be consistent with Weiner’s stated goals for improving transportation in San Francisco. But he seems to be taking the opposition quite seriously, despite the contradiction. He lamented that the Board of Supervisors’ only recourse is to veto the entire budget, which he otherwise mostly praised. Reiskin also pointed out that Sunday metering is supported by many merchants who want to see increased parking turnover, as well as a budget panel which includes the SF Chamber of Commerce, the SF Planning and Urban Research Association, and the SF Transit Riders Union. It was also recommended by the SFMTA Citizens Advisory Council. The SFMTA budget, including Sunday metering, was passed by the committee and is expected to receive final approval from the full Board of Supervisors in the coming weeks. Boo, Scott. But wow, isn’t it nice that Nat Ford isn’t still head of MTA right now? Scott is not a single-issue idealogue. He listens to all sides and draws his own conclusions. Also, Ed Reiskin and his minions at the SFMTA has badly bungled the parking issue and made a lot of people very unhappy. This issue needs to simmer down a bit. It sounds a bit like somebody with a lot of power/money has got him in their pocket on this issue. His excuse (“Even though the patterns have changed in the last 50 years in terms of activity in Sunday, I also know that patterns have developed taking into account that there are no meters on Sunday”) sounds a lot like somebody not thinking but having their hand forced. He sounds like he is confusing several issues. Luckily the budget passed through the committee and will hopefully pass the full board as well. As Reisken mentioned, the SFMTA board is independent so that these types of decisions can be made without the cloud of politics obscuring sound policy. Wiener does whatever Willie tells him, just as the former District 8 cipher did, and just as the current and former puppet mayors do. What is there to be surprised about? Why waste breath educating the uneducable? The rich old property owning queens and yuppies of D8 (that would be me and my neighbours) are easy and cheap to buy off, and will keep electing “reasonable” “centrist” candidates who clearly evaluate all sides of all issues and then do whatever the Chamber of Commerce/BOMA/etc say to do. Seriously. There is nothing special about these “patterns” that has caused a specific uproar. Raise parking – people complain. Raise bus fare – people complain. Raise taxes – people complain. Scott knows this – he’s very smart and a pragmatist. He knows people are complaining because they always do. It’s his job to make those tough calls when the “policy rationale” makes sense. And he very eloquently describes some tough calls – when he’s on the right side of a tough issue it appears he’s reached an intelligent decision instead of just reading from the (left or right) playbook a la some of the other Supervisors. So it’s really puzzling when he lands on the wrong side of an issue with bizarre justification that does not correlate with his typical reasoned stances. 24th Street is a disaster on Sundays for precisely this reason. People driving to 24th lose because of traffic and no parking spots. People walking lose because of traffic. People on transit lose because of traffic. The only people who win are local residents parking for free, and the drivers who just go ahead and double park. Most people who do not follow transportation policy issues simply don’t understand the policy rationale behind Sunday metering. And when you explain it to them, they suspect the SFMTA is just doing it for the money. Sunday metering, of course, is really NOT about the money. But the suspicion persists, because the agency, unfortunately, prices parking citations not just to create turnover, but also to raise revenue. After all, who risks a ticket at $50, but not at $55? Almost nobody. SFMTA’s Tom Nolan admitted publicly in a meeting that the whole point of raising parking citation rates was to obtain more money to run the transit services. So now we have some really good policies — like Sunday metering — getting the stink-eye, because the SFMTA is a quite imperfect creature with an endless appetite for citation money. The SF Chamber of Commerce supports Sunday metering. The latest $5 increase to fines is to cover an increase passed on by the state, I believe. Another reason for the misconception that this is “all about money” is that the SFMTA board only discusses changes to parking meter policy during budget hearings. It seems as though SF is only taking half of Donald Shoup’s advice. They’re trying to implement market-based parking pricing (or something closer to it anyway) on Sundays, but they’re forgetting his advice about plowing the revenue bump (or part of it) back into the community to effectively buy their support. Presented this way, from the standpoint of the Sunday parkers, they are simply losing something that they have enjoyed before, and they’re not getting anything in compensation (other than parking spot vacancies, which probably seem like just an abstraction to them). This same scenario is also why Oakland’s parking plan blew up in City Council’s face. Maybe the Grand Lake Theater owner (who went so far as to decry the plan on his theater’s marquee) would have changed his position if some of the money were going to help hire an extra police officer in the area, or increase the frequency of steam-washing sidewalks, or going into a fund to put in more street trees, or whatever. I consider plowing the revenue bump to keep running the buses being put back into the community. Maybe what they needed to do with the Dogpatch plan was this. When the various people complaining that parking meters in the area is unfair because there is no mass transit, they rebut this by saying “we will take the meter revenue and add a 48x to Caltrain and increase the frequency on the 22 and 10”. Transportation policy issues need to be made more transparent, so that members of the public who don’t have a Master’s degree in civil engineering can understand the rationales behind them and (hopefully) support them, rather then have said policies foisted on them by a civil service bureaucracy that holds in contempt the members of the public that they were ostensibly appointed to serve. I agree with @4875109748b8e947ac550b6801acae75:disqus – it won’t make everyone happy, but there needs to be some tangible benefit that the community can point to. I don’t disagree with @twitter-14678929:disqus murphstahoe that sustaining existing transit service *isn’t* one kind of benefit- rather, just that it’s not an easily explained, tangible benefit. The absence of a worse scenario is a hard thing to rally people around (see also “Obama and the stimulus”). Great points, Jake & pchazz. There are, of course, a lot of benefits to drivers and everyone else from extended metering hours, but those benefits aren’t as easy to see as the money leaving one’s personal pocket book. It takes longer to explain and publicize the potential benefits of transportation policy changes than it does to pronounce them almost by fiat. SFMTA, in my opinion, needs to do a lot more effective outreach to motorists and everyone else. Implementing SFPark throughout the entire city and bringing down parking rates during lower-use times would do a lot toward building that trust. So, too, would changing ticketing policy, so that drivers coming back to their cars could get their tickets forgiven on the spot if the meter maid was still in the process of writing the tickets. Just a bit of “give” in the system would build good will. This never works. Nobody would pay the meters. Go to coffee shop. Park. Ignore parking meter. If Meter maid shows up, run out and say I was just leaving! Meter maid forgives ticket, moves on. Go back in coffee shop. Lather rinse repeat. When you get something for free but better policy is to charge for them, people will be upset. No amount of sunlight will change that. From a progressive standpoint, an argument to oppose Sunday parking is that a public space shouldn’t be converted into something that generates a revenue. Even though many here do not share that view, one of the reasons that highways were pushed hard back then (and toll free) because it is publicly owned, compared to the privately owned railroads. As an extension of that argument, there are low income folks that drive also. Compared to off-street paid parking. Parking meters require prepayment for a certain amount of time, so you either have to overpay it, pay just enough but risk for ticket, or pay just enough but have to check to see if it needs more money. Off street parking doesn’t have this kind of hassle, and merchants can offer validation to keep their customers happy. through the committee and will hopefully pass the full board as well. In Poker we call this a “freeroll”. You can voice opposition to sound policy, vote against sound policy, but the sound policy is still implemented, yet you can campaign on the fact you opposed the sound policy. Murph, Just so you know, the standard proceduare is to pay a kid a buck to keep a lookout for the meter maid. As long as you’re at your vehicle when she arrives, you never get a ticket. Quite why you want us to is another issue, and one for your conscience. @twitter-14678929:disqus Very true. He’s a protector of the “silent majority”! Mike, during Scott’s campaign, he rang my doorbell and, being the feisty voter that I am, I asked him a whole bunch of questions. He devoted 30 minutes to discussing my questions, which impressed me. Moreover, he actually listened to and understood my issues. On that basis I voted for him. Funny thing is, something he told me that stuck with me is that he would fight for those who don’t have the time and ability to show up for interminable city hall meetings AKA that “silent majority” that you so gleefully disparage. Can you possibly see the attraction of a politican who actually isn’t bought and owned by fringe, activist groups or noisy single-issue advocates? Admission fees are there mainly to support the operating cost of the facility. Even so, most public museums offer free admission days so that people who otherwise won’t pay to come to visit, and that the Smithsonian museums in DC are free. The issue regarding Sunday parking is that the main intention is to alter people’s parking behavior but without making the revenue appear to go back to the users who would pay for it. One more car parked on the street generally doesn’t add cost to the government that owns the road (parking enforcement won’t be necessary if there’s no parking fees). Since the government isn’t in the profit-making business, some people would believe that the government shouldn’t be using the market-based approach, especially on individuals rather than businesses. Andy – WRONG. Dead WRONG. Yes it absolutely does. The opportunity cost of whatever else could be done with that piece of land. For example, the parklets which have had large positive impact on business receipts on businesses on and near the parklets, which produces revenue into the city’s coffers. Or widened sidewalks that have the same effect. Tortise – I’m pretty sure more people showed up to the meetings to protest the meter increases than to support the meter increases. Seems like he’s fighting for the people who do show up to the meetings, not the other way around. Show me one and we’ll talk. What I meant was that if that portion of the road is already used for parking, having that one car park there versus leaving it empty doesn’t really add to the cost on behalf of government. It is no different that a few more riders taking the bus wouldn’t really increase Muni’s operating cost. As for the issue if re-purposing that space for non-transportation use, it is something that the community would’ve to decide. We also have to remember that the businesses that sponsor parklets use that space to support their business and expect a return on their investment. As for revenue for the city, parklets on a wide scale are not significant. Automobile sales also generate lots of sales tax revenue for the city as well. Theoretically it could be argued that more automobile accommodation would increase tax revenue for the city because of auto sales. I don’t necessarily agree with that notion, but the reality is that there are plenty of jurisdictions pay attention to the auto dealerships largely because of the revenue. what about residents who deserve a break from parking fines one day a week if you are poor and need to have a car because of a large family? Why does MTA continue its assault on families who cannot afford housing which includes parking? The idea of charging residents with cars on their only day off with paying to park is counter to the claim that the city doesn’t want residents with families to flee the city. Between kissing the butts of bicyclists and catering to young childless residents who don’t have cars the MTA is proving very poor family friendly. Not the same. A vehicle has to drive to/from said parking space so there is added congestion and wear/tear on the road surfaces surrounding the space. what if you are poor and don’t have a car? Do you get a break on your MUNI fare on Sunday? No, you do not, you pay anyway, and in fact you have had your fares increased repeatedly. Stop co-opting “the poor” on this issue. It’s a lie. The taxpayers deserve a break from subsidizing the lifestyles of the minority of residents who need street parking and don’t believe in paying their own way. Those of use with kids, for example, would rather have our money go to something productive, like shoring up our crumbling school system. Nobody needs a car in this city. Not one person. Nobody. It may make thing easier, but it’s never a necessity (“It’s my industrial-strength hair dryer, and I CAN’T live without it”). And choosing to drive makes things much more difficult and dangerous for those who do not or cannot drive. The point is that the impact it is not significant. Theoretically every Muni rider add cost to Muni by increasing fuel use due to acceleration and tire wear due to braking, and add to the wear on the street. At some point when there are more people taking the bus or wanting to park, then the impact becomes significant. Comparing the extra 200 lbs Muni rider’s impact on bus acceleration and road wear to a 2 ton single occupancy vehicle’s impacts to the same is asinine. And 1 more vehicle becomes another becomes another and soon we are accommodating more vehicles and you find yourself in 2012 where you can’t take away one space (or 50) because of the residual impacts to a city being rebuilt for the private auto. So at what number does the impact become significant? @9b56f5baa00c30f5cc1229e27b2a7c88:disqus Choosing not to drive or not to have kids does not make you anti-family, nor does tiring of hearing drivers whine that their free parking is being taken away. Parking is a very finite valuable resource. If there is a genuine issue with low-income families and parking tickets I would rather see that problem addressed separately. Nobody is required to get a college degree, but many people want to get it anyway with the hopes of getting a better job. Nobody is required to get a car, but many people get it anyway to improve job prospects or other things. Our transit systems isn’t anywhere good enough to fill those needs, and it takes too long to realize any improvements. If it takes months if not years to implement minor changes on a bus line, a car salesman somewhere is ready to sell you a car in less than an hour. It says a lot about Muni when you got people living in the San Francisco and drive to 22nd Street and take Caltrain down to their jobs. Aaron, are you advocating the end of double parking on Sundays like what routinely takes place on Dolores Street, in front of many churches and other establishments a good portion of the day throughout the city? How could you write an article without covering this aspect of the free-for-all Sundays? Oversight or omission, or something else? Children of this city who are not chauffeured about town risk being “assaulted” by the legions of cars that rule our streets with impunity. Kids who walk, ride Muni, or bicycle SF streets often take their lives in their hands as they cross the streets of this very car friendly city. Despite being “transit first” or pro-bicycle, San Francisco is still a city that is kindest towards and most accomodating of its drivers. I’d prefer greater promotion of cleaner air and safer streets for the children of this city. Our streets should be more sustainable and more humane seven days of the week. For this city to be truly welcoming and accomodating for families and children, our streets need to be safer and quieter for pedestrians and cyclists and Muni needs to continue to improve. But as I’ve written quite a few articles on this already (some linked throughout the article), I didn’t go into it in-depth. Andy – why are you defending the subsidization of these choices that have such high negative externalities? Ok, thanks Aaron, I did not read that carefully enough on the first pass. Thank you for responding. The point that I am trying to make is that too many commenters here ignore the reality that many people in SF have or want to have a car. They may be as progressive as you and I but they don’t buy into the “livability” stuff. The argument that “you don’t need a car” is kind of dismissive. There are lots of things we can live without (cars, meat, sugary drinks, alcohol, tobacco), but if you try to ban them you’ll have a hard time doing so. If you want more support for these kinds of program you need to make sure that the money the drivers will spend will somehow create visible benefits for them, especially for the disadvantaged folks. Some theoretical benefits aren’t going to cut it, nor is more money going into the Muni blackhole. @014d815e337305dccb0b861fe6cdb3e3:disqus What @8d10b7eff74566923270734eea223235:disqus pointed out was, that *in* the city, you don’t need a car. And though I would disagree a little because, unfortunately, there are some areas that are essentially inaccessible by public transit frequent-enough-to-be-useful, I think these locations are the exception and not the rule and so his point is still valid. And that point is: most people who drive a car *in* the city do not need it but choose it as a convenience. And fine, but you need to pay for that (via non-free parking) because there are all kinds of costs to society for that decision. Now, if you want to *leave* the city because you chose to take a job somewhere where you can’t take Caltrain, Bart, etc, then that is also your choice (and let’s face it, the vast, vast majority of people who make this choice are not the poor but educated, well-paid professionals). And, regarding the issue at hand (Sunday parking), people commuting outside the city is irrelevant.